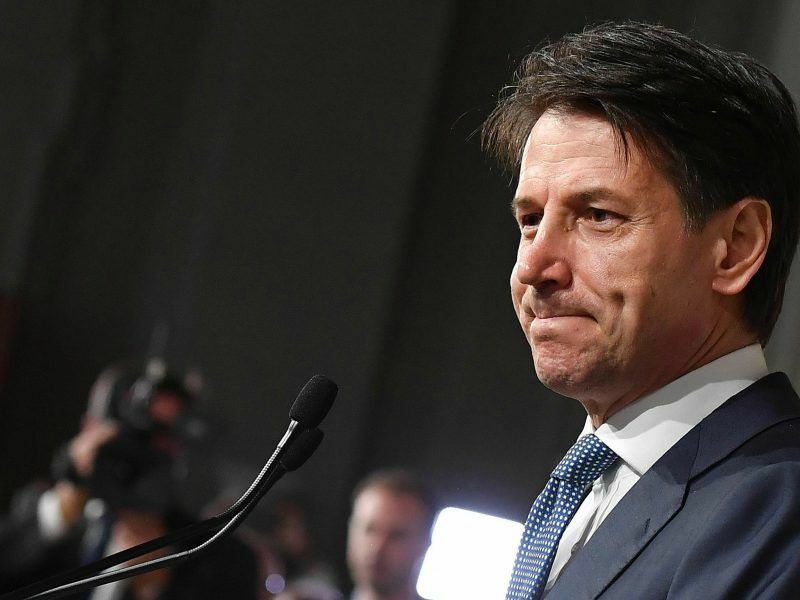 On Thursday evening President Sergio Mattarella gave a mandate for the second time to Giuseppe Conte – the populist’s pick for prime minister. Conte – a little know lawyer and political novice – announced his picks for the country’s future cabinet after meeting with Mattarella. 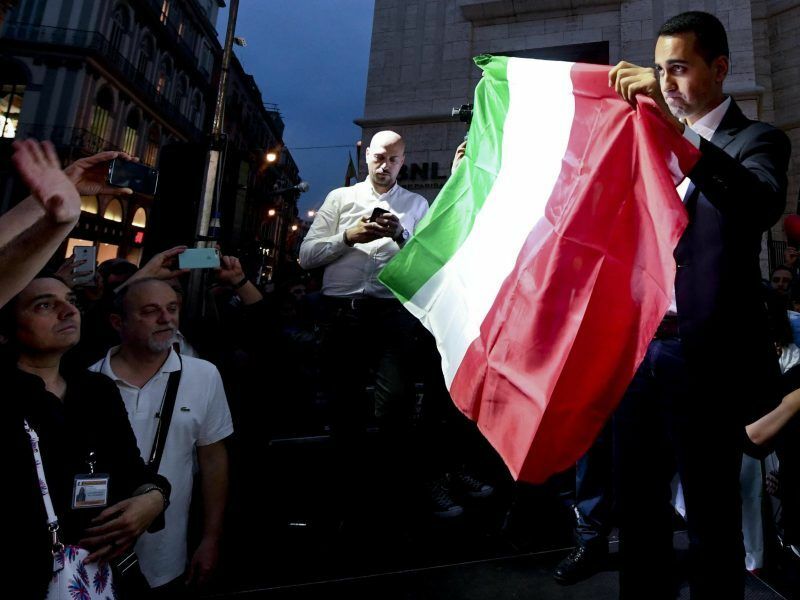 Five Star Movement leader Luigi Di Maio is slated to become minister for economic development. 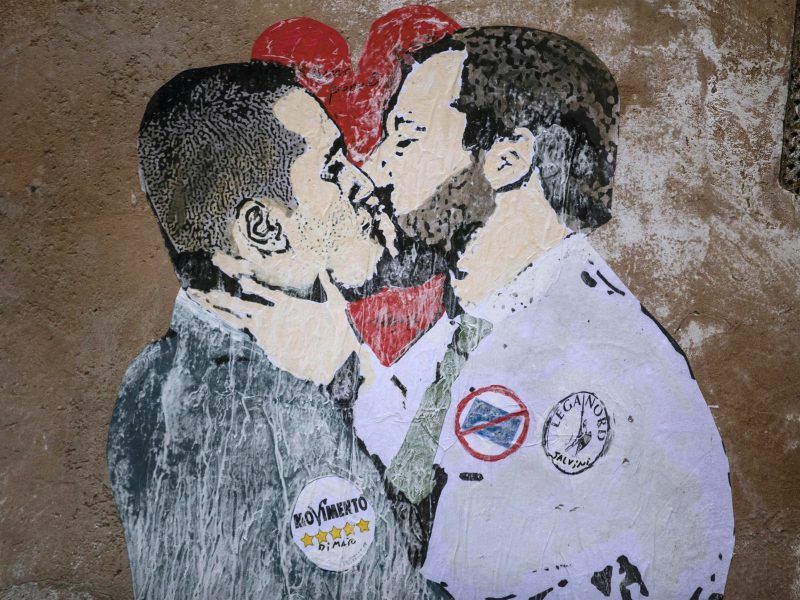 “Without promising any miracles, I can say that, after the first months of this government of change, I would like us to have a country with a little less tax and a little more security, a few more jobs and a few less illegal immigrants,” said a gleeful Salvini at a rally after the annoucement. Savona was at the centre of a standoff between Sergio Mattarella and the parties now poised for power after the president refused to give his blessing to the coalition’s government lineup because it included the 81-year-old eurosceptic. 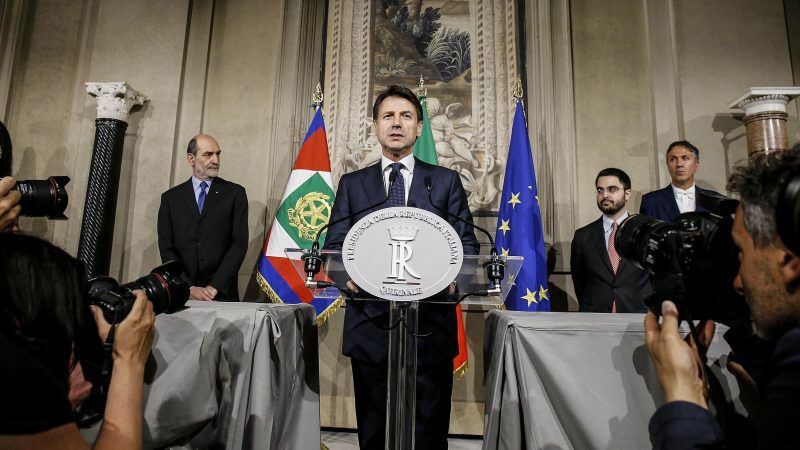 But the two parties reached a new coalition deal Thursday reviving their plans to take power with Giuseppe Conte at the helm. The European Union is treading cautiously as the political crisis in Italy fuels fear of a renewed threat to the long-term credibility of the eurozone. A fierce critic of the Maastricht Treaty and the euro, Savona has a career in finance and economics that stretches back to the 1960s, and was Minister of Trade and Industry during fellow banker Carlo Ciampi’s short-lived technical government in the early 1990s. In his latest book, “Like a Nightmare and a Dream”, Savona calls the single currency a “German cage”, and his hostility to the euro provoked a flurry of warnings from Brussels as Mattarella hesitated over his appointment. In the book he attacks Italian officials who decided to take Italy into the euro, which he claims has “halved Italians’ purchasing power”, the European Central Bank (ECB) and its president Mario Draghi, and in particular Germany. “Germany didn’t change its idea on its role in Europe after the end of Nazism, even is it abandoned the idea of imposing itself militarily,” he writes. 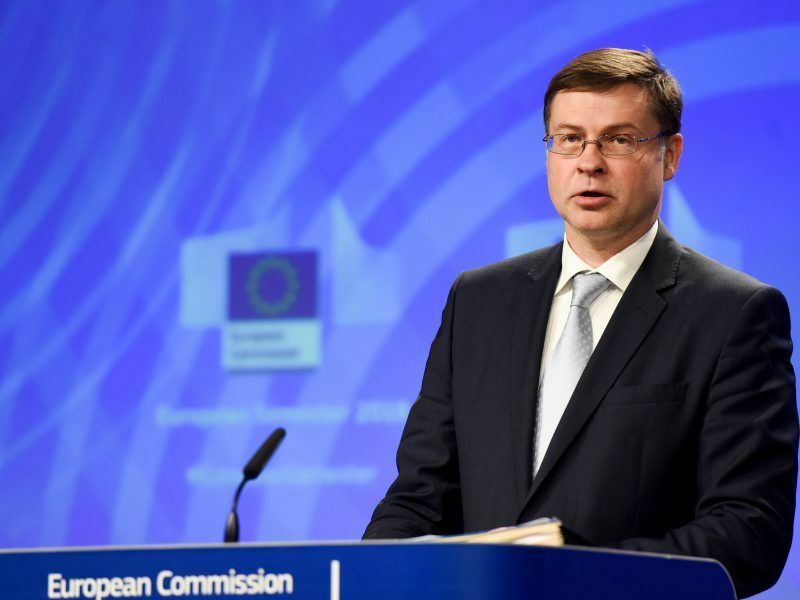 However he defends himself against charges of being Europhobic, saying that he is simply criticising institutions that are failing the European people. “I’m passed off as one of those rare anti-European institutional economists but it is not true. I would be in favour of a united Europe in principle, and that’s why I talk about the worst of what I see today in Brussels,” Catholic daily Avvenire quote him as saying. Born in the Sardinian capital Cagliari in October 1936, Paolo Savona began his career at the Bank of Italy after gaining a master’s degree in economics and commerce in 1961. Vincenzo Visco, current head of the Bank of Italy and a former finance minister in leftist governments between 1996 and 2000, told the Corriere della Sera that Savona “has all the capacity and credibility” to fill the post but “two big problems”. The first, Visco says, would be applying an anti-austerity programme negotiated by Five Star and the League, “which he knows to be completely inapplicable” given Italy’s 2.3 trillion euro public debt. The second, according to Visco, would be that his political positions are “radically and suicidally anti-German … that could create problems both for him and for us”.